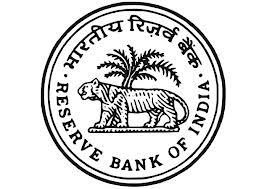 The Reserve Bank of India is India's central banking institution, which controls the monetary policy of the Indian rupee. It was established on 1 April 1935 during the British Raj in accordance with the provisions of the Reserve Bank of India Act, 1934. The share capital was divided into shares of Rs 100 each fully paid, which was entirely owned by private shareholders in the beginning. After India's independence in 1947, the Reserve Bank of India was nationalised in 1949. . The general superintendence and direction of the RBI is entrusted with the 21-member-strong Central Board of Directors—the Governor (currently Duvvuri Subbarao), four Deputy Governors, two Finance Ministry representative, ten government-nominated directors to represent important elements from India's economy, and four directors to represent local boards headquartered at Mumbai, Kolkata, Chennai and New Delhi. Pay Scale : Rs 2,90,000 per year excluding housing. Applicants must have obtained Degree in any Discipline with at least 50 % marks from any recognized University. However candidates from reserved categories (SC/ST/PWD) must be only pass in the Bachelor's Degree. Also Applicants must have the knowledge of Word Processing on Computers. Applicants must be over 18 years and below 28 years. Selection Process is based on a online written test followed by a personal interview. Applicants need to apply Only through Online Mode at the RBI's Official Website at www.rbi.org.in. Please visit www.jobalerts4youth.com for more frequent update on this. Please visit www.jobalerts4youth.com for more frequent update on this.